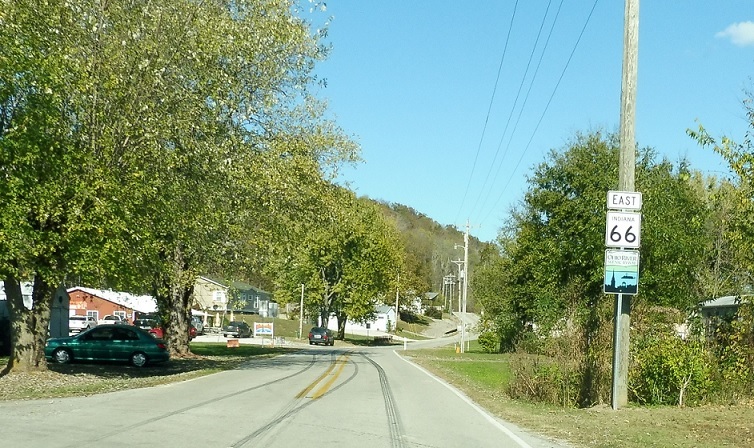 Reassurance shield after SR 70 as we pass through Derby. Reassurance shield as we head out of Derby. 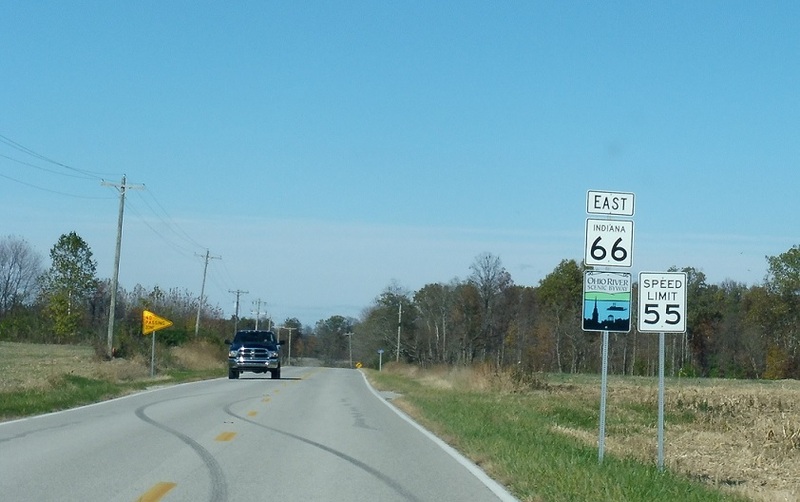 A few miles later, SR 66 turns left to continue heading generally north. 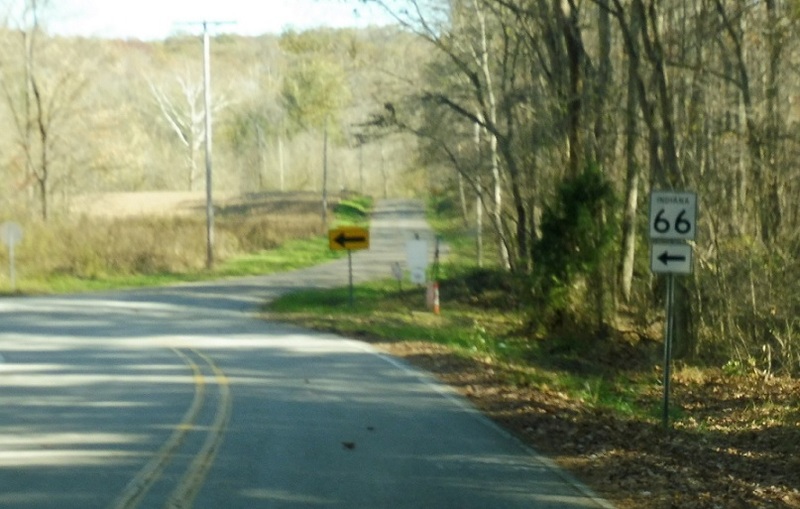 A few miles later, we’ll enter unincorporated Mt. Pleasant. Reassurance shield as we pass by Mt Pleasant. 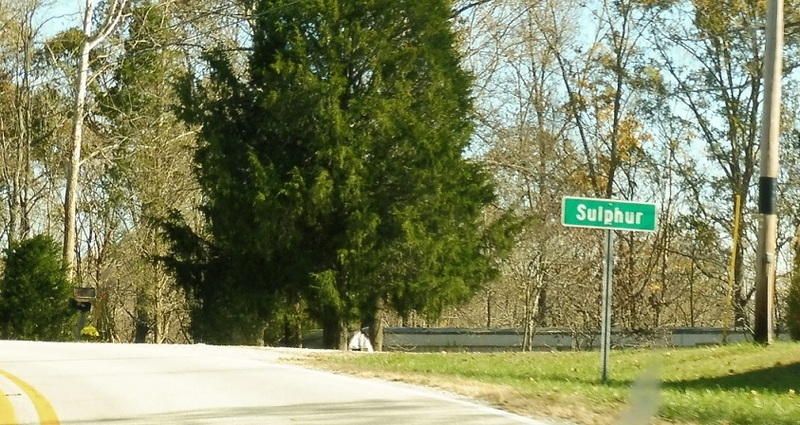 A few miles after that, we’ll enter the community of Sulphur. 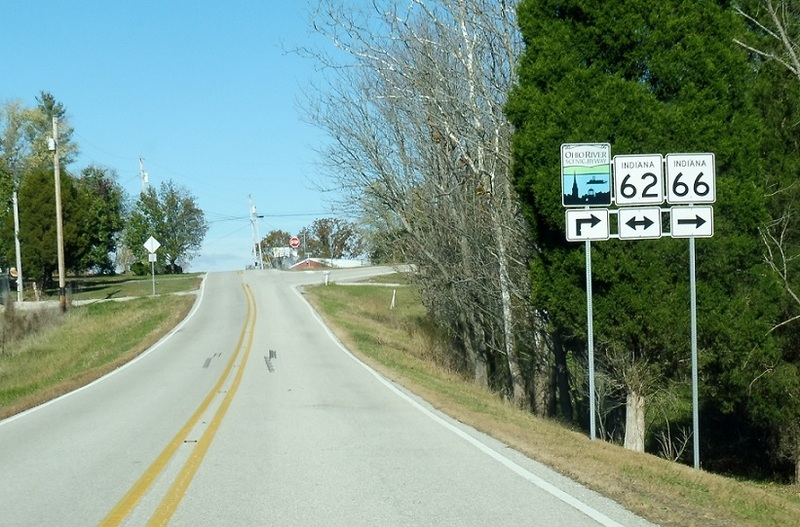 In Sulphur, we’ll approach SR 62. 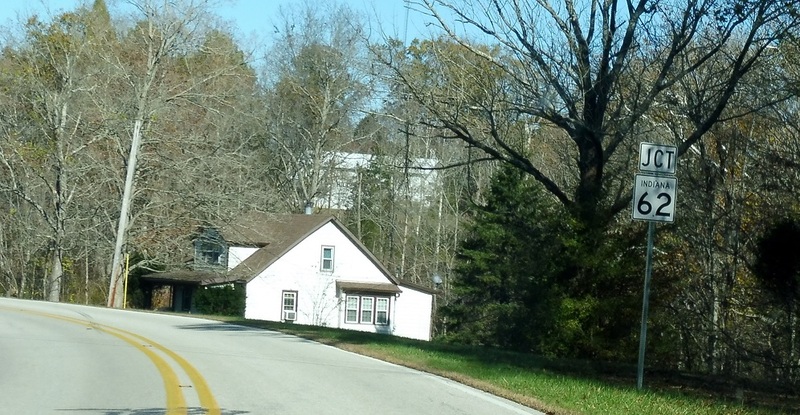 At SR 62, turn right for 62/66 east. 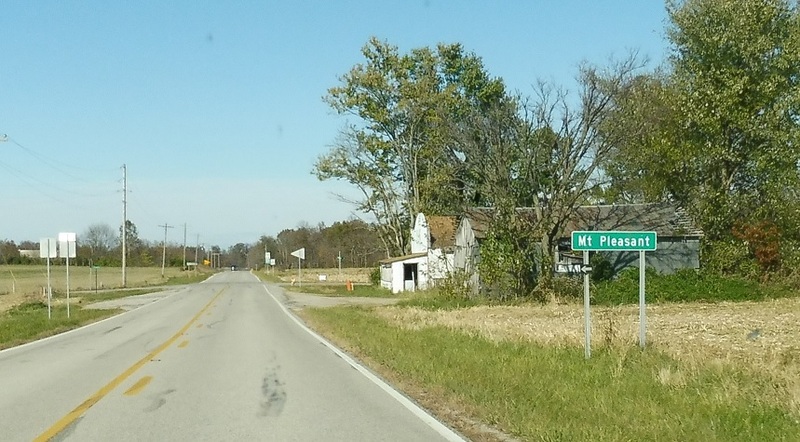 Turn left for 62 west. 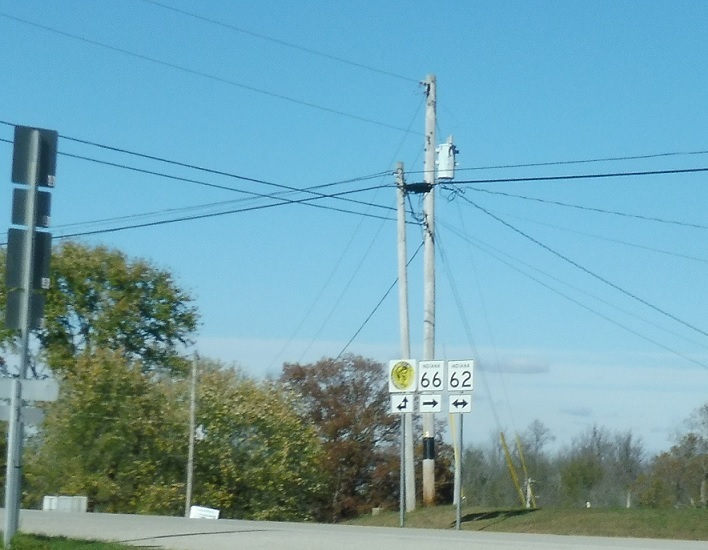 Keep right for 62/66 east and turn left for 62 west. 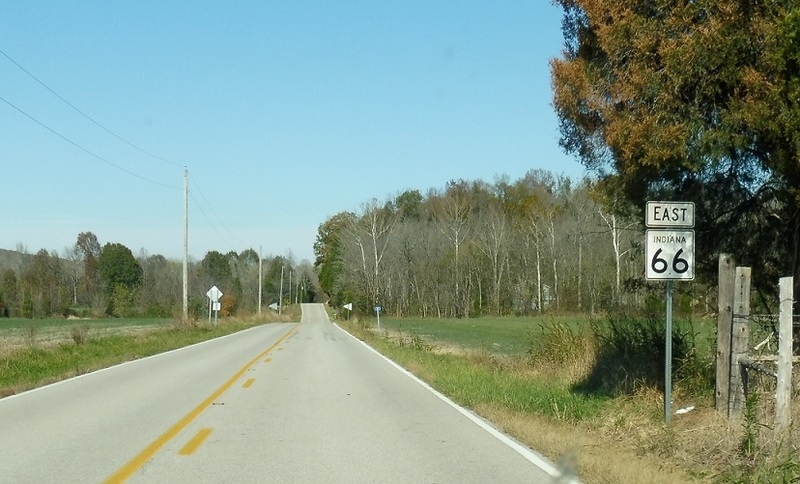 SR 237 intersects SR 62 about 50 feet west of this junction, and is the destination of that straight arrow.